Gift vouchers for you to buy for that loved one's birthday, anniversary or special occasion, including Easter and Christmas. 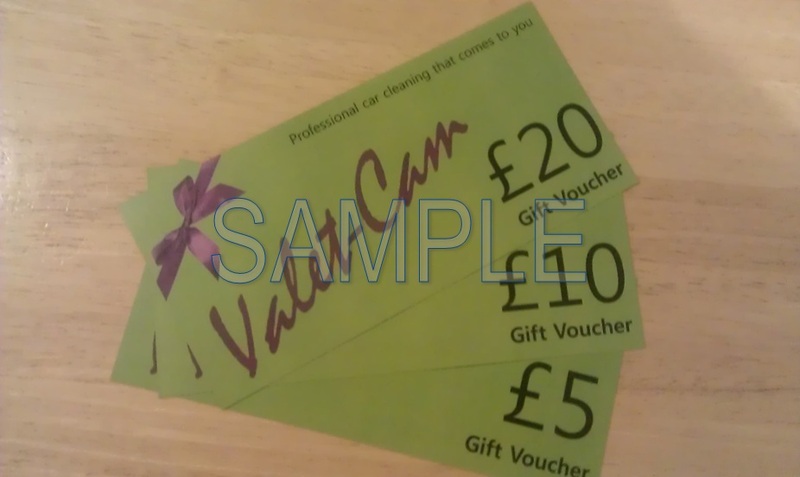 Gift vouchers are available in denominations of £5, £10 and £20 and you can pay by cash when we valet your vehicle next, cheque or sending us a bank transfer if you're out of area and buying for somebody who lives in the areas we cover. Please don't leave your request until the last moment we will always try and satisfy your requirements but sometimes postal services are just not on our side... for last minute requests where we cannot send vouchers we will send the buyer an "IOU" email. We are working to accept credit & debit card payments but you can pay through BACS to speed up this process.